Why do readers like series? Why do writers like series? Or not? • - multi-multi-books….. 25 or more…..
How does a writer get into a series? • - start with a stand-alone, get caught up in the characters……. • 4) Setting Series- setting is the same in each book, characters may or may not change (Harry Potter goes to Hogwarts in each book, but he is also the main recurring character. Caleb Cove Series is a setting with a cast of characters but the main character is each books changes). 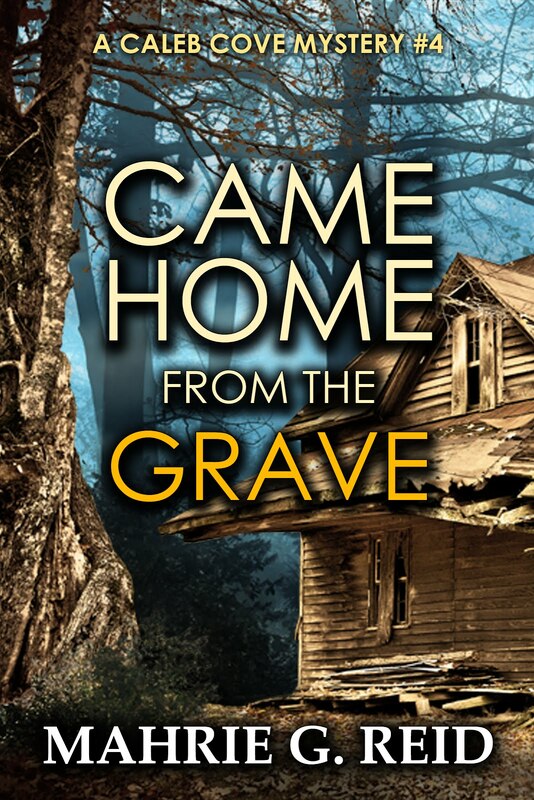 • It is the thing that will bring readers back for more. • Defining your tie, even if there are overlaps, helps you establish the pattern from one book to the other. 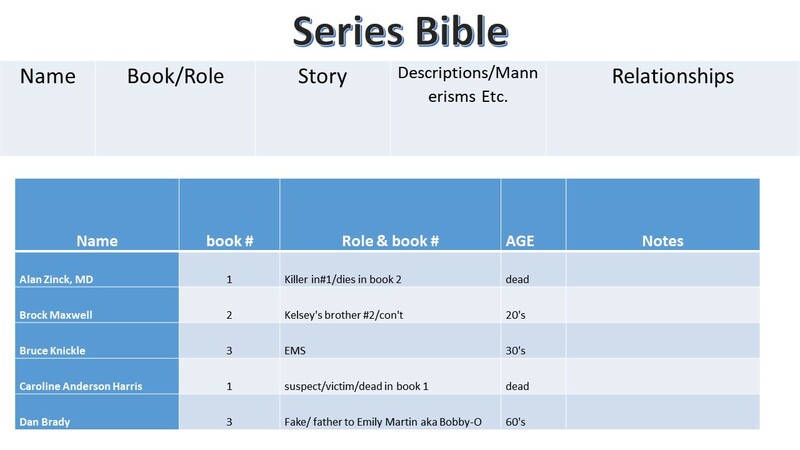 • All the elements used for any novel are present in a book within a series. If not, what are the exceptions? What do series arc look like? • Used in a series with an ending. What is your series tie(s)? • Use at least on fresh beta reader for each book – then if they are confused you know you’ve not put in quite enough. If they are bored…you have too much. • all the usual things like eye color, education, number of siblings, birthmarks, hobbies, phobias…. ** For these things you want at least one beta reader who is reading all the books in order for you. 1) Oversights - explainable or illogical items, plot holes or uncharacteristic actions. The often referred to "A deus ex machina" situation is one of these. 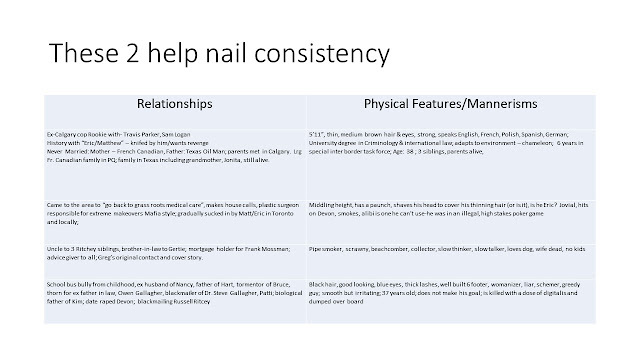 2) Changes Premise: “If anything concerning character, plot or setting directly conflicts with something previously established in the previous book(s), it fits here. • We might refer to some of this as Craft problems – jumping in and out of POV without realizing it. • Using or not using cell phones to further the plot – or not wearing a vest because a character needs to get injured when before they always wore a vest – that’s a tech problem. • Not acknowledging current tech equipment because it’s convenient not to – that’s a tech problem. • Continuity is the flow of the story – having everything from book to book appear in an appropriate time. • Date of a baby’s birth might be referred to – you want to make sure it lines up appropriately with when the couple met and married or whatever. • It is also having the setting constant – if an outhouse is blown over in one book – have the right it before using it again. If a tree blew down and was sawn up and hauled away – don’t have anyone take shade under it in a later book. • If you are not going to resolve a question somewhere in the series – don’t bring it up at all. • If you plan to answer it two books down the road – remember to do so – and also have a couple of plants in the book in the middle to remind readers of it. 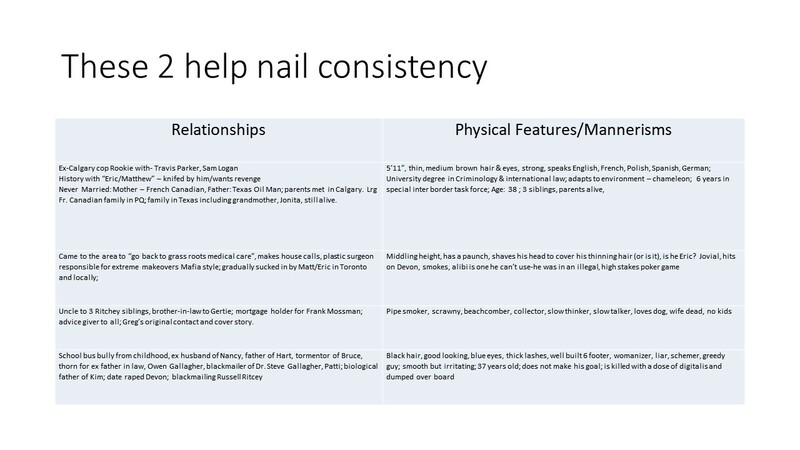 HOW DO YOU MAINTAIN CONSISTENCY AND CONTINUITY? 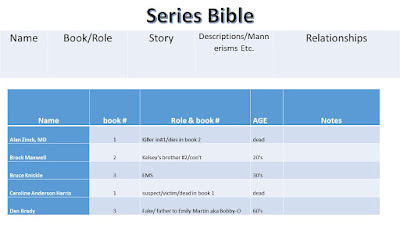 A series bible is a binder or book with all your story blurbs, your series blurb, your character sketches and charts of who is related to whom, who is in which book and their role, their relationships to other characters and their unique mannerisms. For each mystery you can chart your suspects or interviewees and list who knew what, who heard what, saw what, and smelled what and so on. And who did they tell? List their alibies and if they can be confirmed or not. Put anything in this book that you might need for following stories. Town layouts, house configurations and location descriptions. This is partial information only. There is more and it can be found in Ms. Wiesner’s books and articles as listed here.